Brainwashed - INRA, "The Content Consuming Its Form"
Both guitarist Adam Ben-Nun and drummer Philipp Rhensius were involved in various noise/drone/experimental projects before they began collaborating as INRA, but it is Rhensius's broader passions that propel the duo’s work into something unique. For one, he is a writer, and the physical releases of The Content Consuming Its Form combines the album with a brief book. I do not have that book, but the impressionistic poetry that I have seen from the pair displays an appealingly sardonic and subtly scathing sensibility ("a tired painter with 703 Facebook friends was doomed to fail with the Greek idea that love is expressed through illusions and compassion"). The album's lyrics fall within similarly elliptical and aphoristic territory, though they are frequently obscured by effects and feel like a textural element rather than a focus. Much like identifying himself as a poet, Rhensius's passion for club music is similarly something that could have been a catastrophically bad idea if poorly executed. 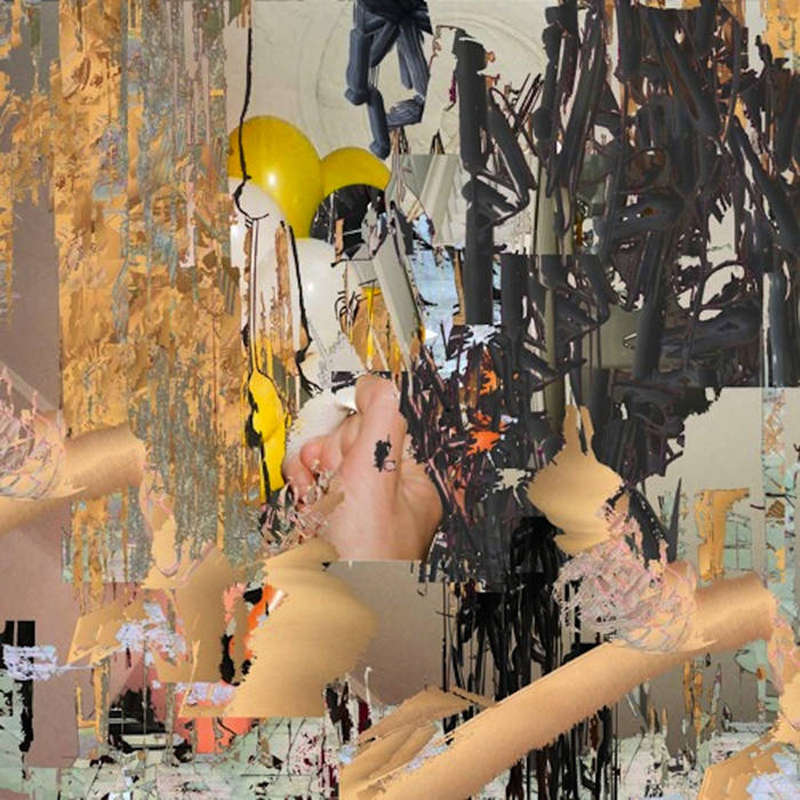 It actually works quite beautifully though: the pair have an intuitive genius for using Jungle-esque drumming and muscular bass lines as mere tools to add well-placed splashes of color and visceral heft to their crackling and hallucinatory collages. That choice of focus is important. While it may not sound like a big deal on paper, it is an absolutely crucial detail in separating "evocative soundscapes enlivened by cool percussion flourishes" from "atypically murky dance album that will sound dated almost immediately." To their credit, INRA consistently and decisively avoid the latter fate. The strongest example of that perfect balance is "I Don't Have Feet," in which a miasma of machine-like hums, distorted voices, and abused guitar sounds is unexpectedly joined by a thick, rolling bass line that immediately imbues everything with a muscular physicality and welcome sense of forward motion. My other favorite piece is the title track, which opens with a distorted, semi-robotic voice speaking over a burbling backdrop of flanged tribal tom-toms. It all feels very cruddy and lo-fi, which is a nice touch: it would be so easy to sound convincingly like an actual robot with the technology available today, but choosing instead to sound more like "Hamburger Lady" gives the piece a pervading sense of ruin and sadness. That sense does not persist for long, however, as Rhensius's drums suddenly spring vividly to life and the piece coheres into a wonderfully clattering and bass-heavy groove. Elsewhere, "She is Like the Silence in Ingmar Bergman Movies" goes in the opposite direction, weaving a dreamlike spell of hazily ghostlike ambience, submerged snatches of distracted vocal melodies, and enigmatic crackles and scrapes. As it progresses, the piece becomes steadily more phantasmagoric and haunting, as buried melodies start to emerge, textures fray and sizzle, and the vocals sound like they are being dragged into a black hole. The album is rounded out by three more pieces: an ominous reverie of echoing, disembodied voices ("5 Likes After 7 Minutes") and the two percussion-heavy bookends ("The Last Summer Before Web 2.0" and "Free Power Snacks in the Co-Working Space"). All are admittedly quite good in their own way, but INRA are at their best when they blur the lines between those two separate poles of their vision. While I certainly dig INRA's aesthetic, the true beauty of The Content Consumes Its Form lies in the details and the execution, as the duo largely avoid any false notes or heavy-handed gestures that might dispel their vivid vignettes of industrial decay, disconnectedness, and lysergic Holy Mountain-esque menace. I am especially impressed with Ben-Nun's guitar work, as he deftly sidesteps any conventional touches and instead uses the instrument almost like a paintbrush, crafting enigmatic and subtly textured scenes from a palette of blurred chords, scrapes, and strangled noises. 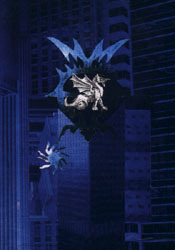 I have since investigated INRA's debut (Suburbs of Utopia) and the difference between the two albums seems to be primarily one of focus: all the elements of The Content Consuming Its Form were in place from the beginning, but it took Ben-Nun and Rhensius a couple of year to master carving away any clutter or lulls that blunted their impact. Aside from that, this album shows a real talent for dynamics, expertly balancing the ravaged and sickly with the vivid and the visceral. If Throbbing Gristle can be said to be logical product of late '70s socioeconomic disillusionment and hopelessness colliding with affordable electronics and the revolutionary spirit of punk and post-punk, INRA can be said to be the logical product of their own time. The sense of disconnection and existential malaise remains, but there is now a numbing cultural oversaturation, and any genuine sense of revolution has been replaced by endless nostalgia cycles. Consequently, there is nothing here that anyone would find transgressive or civilization-wrecking, but it would feel wrong if there was, as INRA have taken their inspirations and artfully shaped them into a compelling reflection of their own late-capitalism point in history.